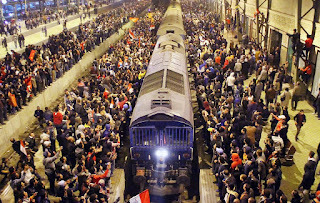 Egyptians crowd a train station waiting for their friends and relatives' arrival from Port Said in Cairo, Egypt, Thursday, Feb. 2, 2012. 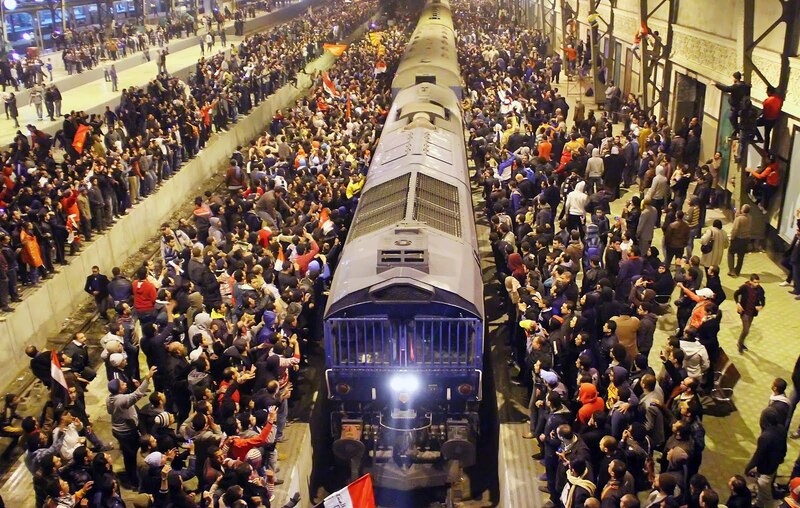 Witnesses say scores of Egyptian soccer fans were stabbed to death while others suffocated, trapped in a long narrow corridor trying to flee rival fans armed with knives, clubs and stones in the country's worst ever soccer violence. At least 74 people died and hundreds were injured after Wednesday's game in the seaside city of Port Said, when disgruntled fans of the home team, Al Masry, rushed the pitch, setting off clashes and a stampede as riot police largely failed to intervene.